That’s exactly what the Air Force 1 has done and continues to do. The sneaker is now 35 years old. It’s been worn by fathers and sons, with no signs of slowing down. More and more variations and colorways are being released. 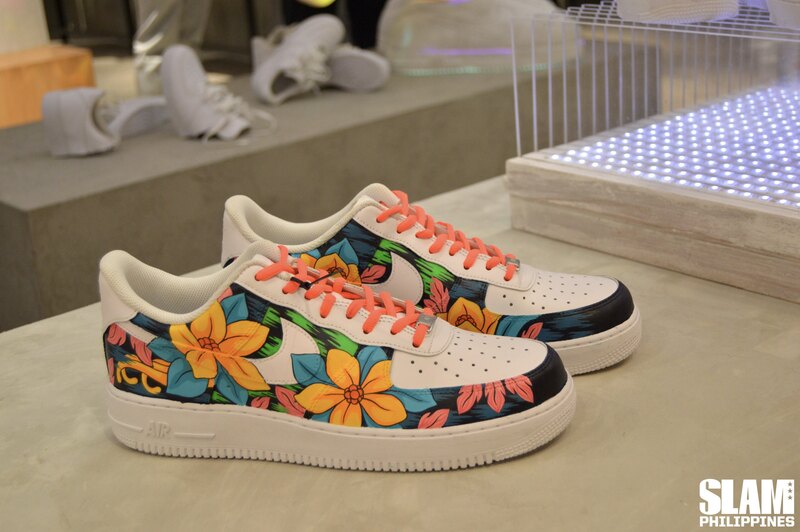 The Air Force 1 was originally created as a basketball sneaker. Through time, the sneaker has become a lifestyle staple. The style of the sneaker also evolved. From simple color blocked designs to colorways paying homage to music, movies and even entire countries. The sneaker isn’t stopping there. 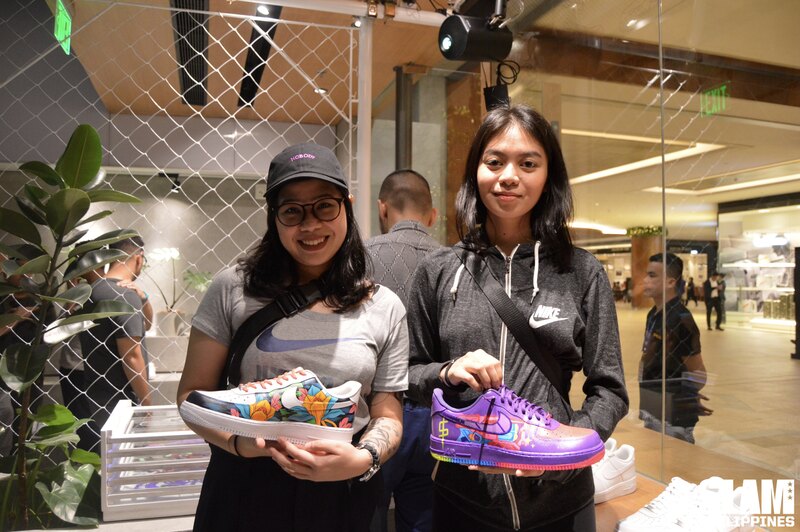 From basketball, to lifestyle, it’s now moving towards the world of art. There are many artists around the world that are using the iconic sneaker as a canvas to express themselves. “The sneaker has so many big spaces. You have that big logo at the forefront as well as other spaces as canvas for so many things,” Kayo Cosio explained. 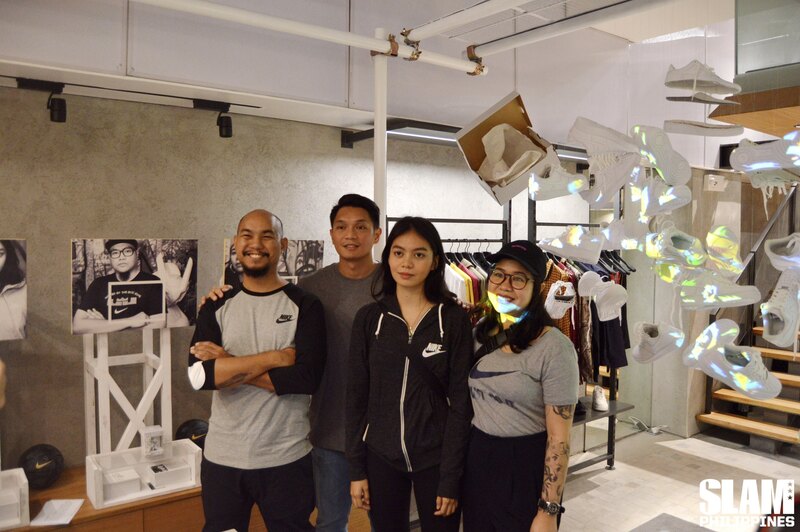 Kayo was tasked by Nike to be the Master Planner of Manila’s Blank Canvas Collective. 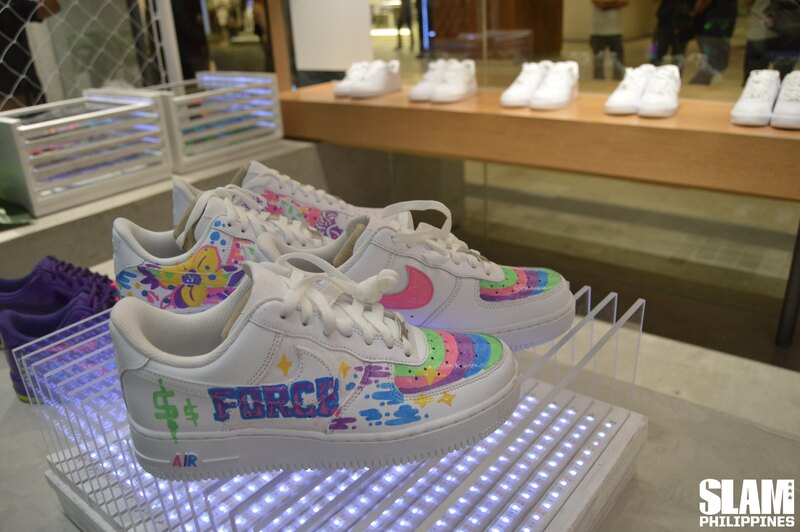 He assembled a group of artists to answer the question, “What does the next 35 years look like?” With that in mind, Kayo along with street artist Jade Suayan, illustrator Lari Gazmen and toy designer Quiccs, used the Air Force 1 as the canvas for their art work. Kayo’s installation sets the tone for the entire exhibition. 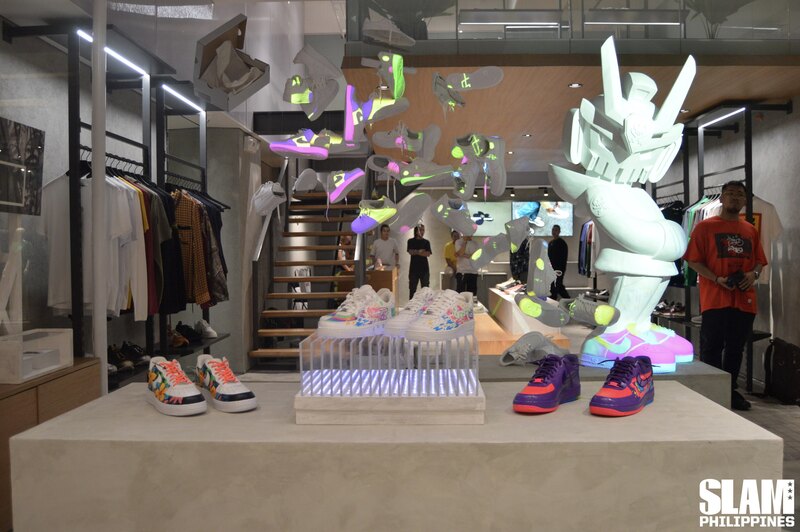 He started out with an open Air Force 1 box that transitions into several sneakers suspended mid air, some were even deconstructed and cut up. He wanted to portray the sneaker’s various stages and planes of existence, expanding on its possibilities as a blank canvas. 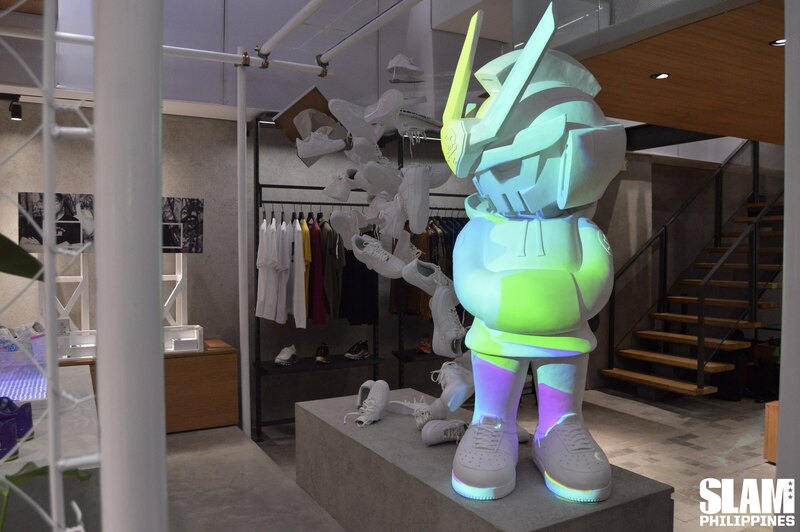 He then used projection mapping to showcase key design elements of the other members of the collective and their vision for their own pieces. 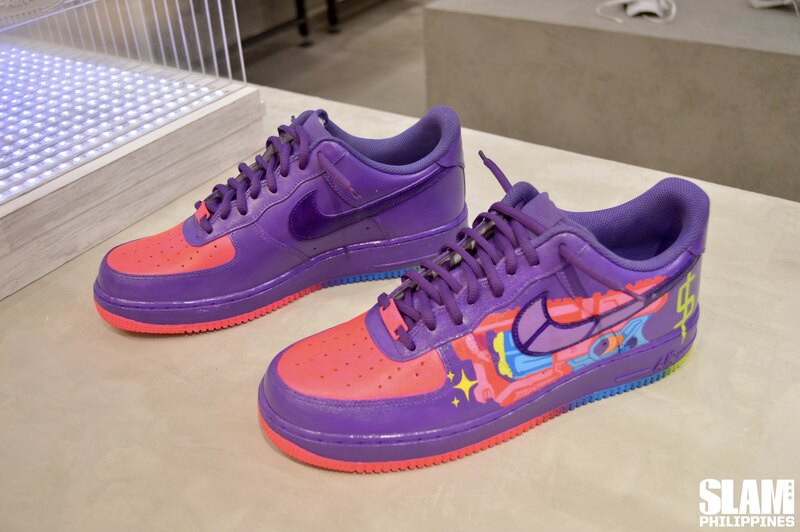 The brightest piece in the exhibition was Jade’s purple and pink Air Force 1. For her installation, she used colors and images from her current body of work. The main element for her sneaker is a toy gun that represents fun and playfulness. It’s meant to show that girls can find action and leisure any way they choose how. Jade signs her with her graffiti tag, a green “$”. This is her choice to take risks and make her own mark. Lari chose the Columbine to remind everyone to take a path that includes courage like an eagle and grace like the dove. The biggest (literally and through reputation) piece in the entire exhibit belongs to Quiccs. He’s a multi-awarded and acclaimed toy designer that absolutely loves the Air Force 1s. The all-white colorway has been a staple of his wardrobe since he was still in school. Inspired by Japanese robot characters, Quiccs created his signature TQ toy. 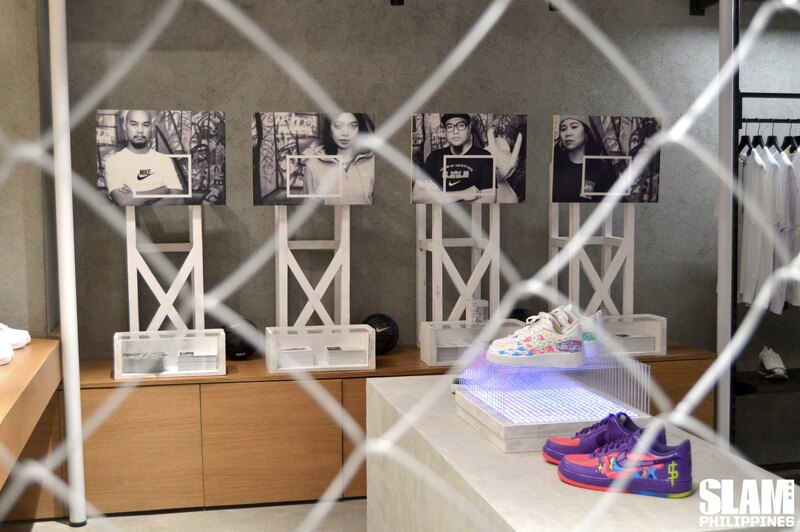 For the exhibit, he redesigned his TEQ to sport a pair of his beloved all-white Air Force 1s. Similar to designer “toy blanks” he sees the Air Force 1 Triple White as the premiere canvas for sneaker customization. These four artists created their vision of what the next 35 years of the will be like. 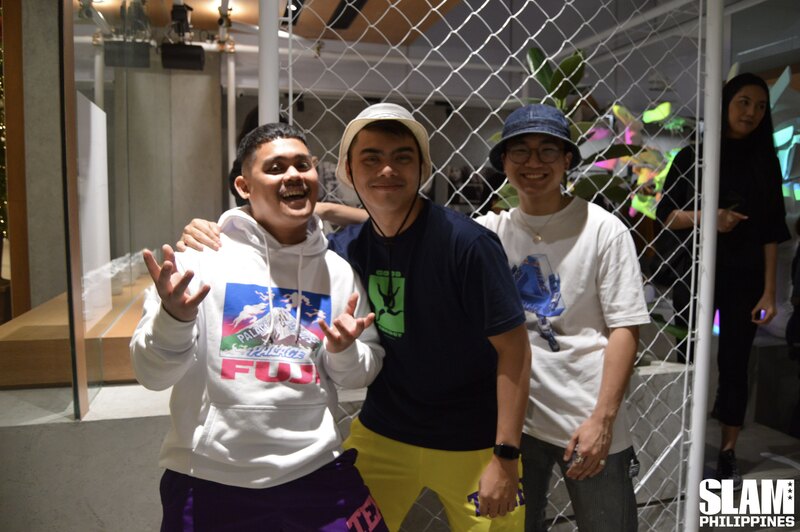 They showcased equality, environment and beauty birthed from the streets of Manila through their work with the sneaker as a canvas. The Blank Canvas Collective sees the Air Force 1 as a sneaker that will continue to inspire artists to express themselves. They see the sneaker as an icon that will not only bridge generations but one that will continue to cross cultures. Check out the Blank Canvas Collective exhibition in Commonwealth Rockwell. Be inspired and create your own masterpiece. Every purchase of the Air Force 1 Triple White comes with a fee DIY kit. Share your work on Instagram and tag #battleforcemanila and @commonwealth_ph for a chance to win a limited edition TEQ:AF-1 toy. Deadline for the entires will be on November 23.